Little House Home Arts: "No Readers Left Behind"
Clue #1 Daiwabo fabrics pre-shrunk and pressed...all ready to go. "No Readers Left Behind " is the first piece in my "Series on Change" blogs that I am going to write to inform you, my readers of the many changes that are happening at Little House! It all started last year when two friends came to visit me in close proximity of each other. I gave them tours of my work spaces and had dug out some of my projects to show them. I was excited for them to see the variety of my work. 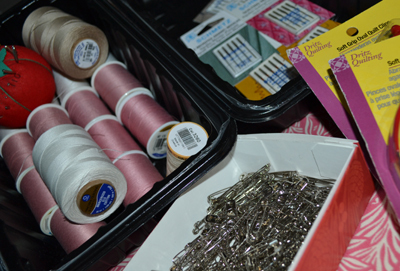 Clue #2: My pressing and pinning station. Making quilt sandwiches! Following both of their visits, I felt panic instead of pleasure! My projects and dreams were exposed enough that I could see them too clearly, and frankly were enough to overwhelm anyone, but mostly me! Once my projects were literally pulled out and in the open, I figuratively found them hard to get back into the genie bottle from which they came. I could see my own insanity and wondered what I was thinking! I didn't begin to have enough years to finish them all, much less create the many more projects that were in my brain, none of which matched the visions I had for my craft business. I was caught, in a matter of speaking, "with my pants down" and my dreams laid naked and exposed. 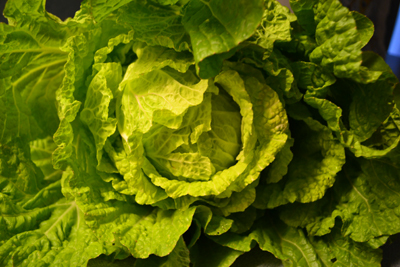 Clue #3: Home-grown Napa cabbage. I have had many sleepless nights and confusion, befuddled with the conflicts before me. I began to read, explore and make changes though at the time they didn't make rational sense. I was "off and running", but truly wondered where I was "off to" and was bothered by changes that didn't seem to make sense. I followed my heart instead of my brain and it is only recently that some of these changes are beginning to now make sense, such that I can write about them with any clarity. They are not complete, but in process and there is still much uncertainty before me. As with most changes, some are planned and intentional, and some are not, and some seem quite serendipitous and "coincidental", though in my heart I really don't believe in coincidences. I believe that all things happen for a reason and any coincidences are really God Winks. I have found out more than once in my life there are plans that are greater than my own! I am always blown away when I see glimmers of this bigger plan unfolding, as fulfilled dreams that I really had not thought possible. "The Bucket List" was a movie done in 2008 staring Jack Nichols and Morgan Freeman. It is the story of two old codgers that meet when they are hospitalized, each facing a fatal illness. Though very different in personalities and values, they share what they want to do before they die and challenge each other to face their fears, live their lives more fully, and complete their "Bucket Lists" before they meet their maker. I have a chronic illness but don't feel that I am in any imminent threat of dying any time soon,but am growing more aware that we are all "terminal". As my friend's insurance man once told her, "Death is not a question of if BUT when and like these old men, I too have a Bucket List to complete! Clue #5: Sewing station moved from left to right side of my living room. Before the second friend left he ordered a quilted wall-hanging (featured in my previous blog), and this has made all the difference, though I didn't know it at the time. His request was a much bigger challenge than I had imagined and though small in size, it was huge in terms of the changes that it started to create at Little House. I was astounded as to how long this project took me, but realized later that more was happening than met the eye. Clue #6: Worse before it gets better! Changes were needed within before the external ones could fully materialize. 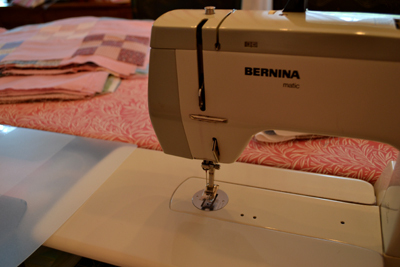 I wasn't ready to jump into the world of long term projects like quilting besides which, I hadn't really done serious quilting since my young adult years, albeit, I had made lots of simple comforters for family members and had given my mother advice regarding her quilt making. 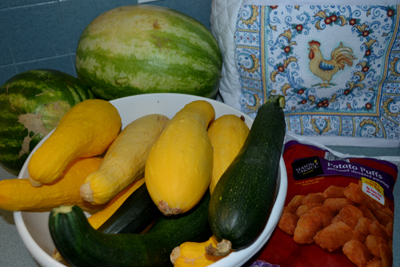 I had even made quilted pillows and had started many bed-sized heirloom quilts. I thought I was a quilter and for a time I was. I had taken a quilting class at Bonnie Lehman's Quilts and Other Comforts in Lakewood, Colorado in the mid 70's and had learned all that I thought I needed to know, but like others, I grew up, got married, started a family and all hobbies got pushed aside and the following years became a blur. 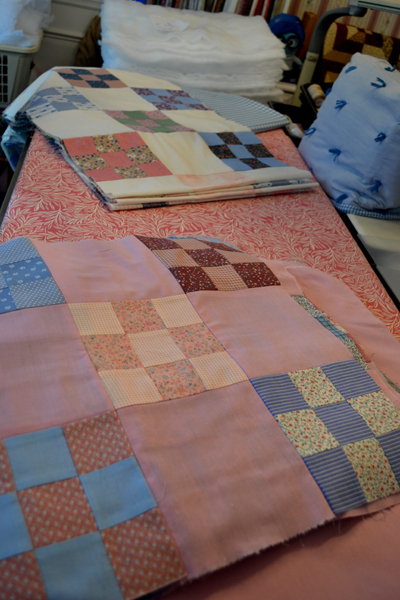 My mother seemed to catch the "quilting bug" from me, though she had quilted in her youth. She did what I didn't have time to do; she quilted. I gladly shared my passion for quilting with her and became her official "quilting guru". I even took her to quilt shows! 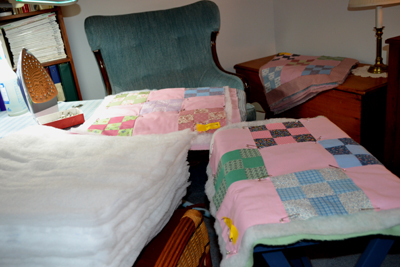 She collaborated with me on her quilt-making and went on to make quilted pillows for her sisters, a few baby quilts and then several bed-sized quilts. She even finished the hand-quilting on my first sampler quilt. Being her "partner in crime", she generously left me her three hand-pieced and hand- quilted quilts, along with one that was left unfinished. I promised her I would complete it and sincerely looked forward to finding time to finish it and proudly use it on my bed. I have since realized that I have "talked the talk" more than I have "walked the walk", or should that more accurately read, "talked and dreamt quilting" more than actually done it. When I was showing my friend some of my unfinished quilts and my mother's last and most beautiful candle-wicking quilt, the one that I promised to finish, I realized that the time is NOW! I am not getting any younger! Clue #8: A bit of Yankee Ingenuity and I am ready! 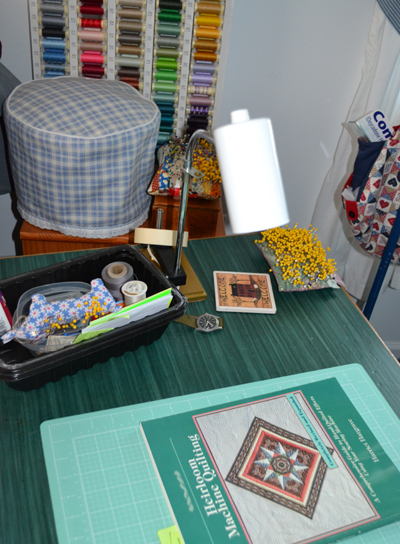 I needed to muster some serious courage to re-learn all the quilting skills I had once mastered and learn new skills as well. It was also time to face my serious handicaps of starting long-term projects without finishing them. I remember too well, standing behind a boy at a quilt show and hearing him read aloud and IN TOTAL AMAZEMENT, that it took the featured quilter, a WHOLE YEAR to make her gorgeously detailed quilt! I laughed to myself and inwardly replied, "That's nothing honey!! My quilts take twenty or thirty years and none are finished yet, nor are they masterpieces like this one!" I then bought a plaque to hang on my wall that reads "Finished is better than perfect" and set about to change myself. I have considered that I likely have serious attention deficit problems when it comes to finishing what I start and my Bucket List of UFO's (unfinished objects) proves this fact. 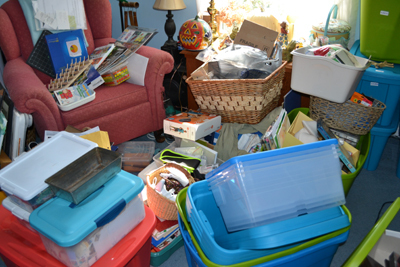 Though I have since learned that I am NOT unlike many quilters in thinking faster than my needle sews, I also knew that defining the problem didn't solve it. Serious changes were needed IF I was to finish what I had started, and this year, on the top of my New Year's resolutions were listed some simple steps to start to make it happen. Clue #9: "Oh had I a golden thread and a needle so fine!" What I had learned about making pincushions needed to be transferred to larger projects. I shared with my readers how I read tips and tricks from prolific quilters and then devised new organizational schemes, schedules, and studio changes to work on my bigger and longer term projects to turn my dreams into realities, and create a new modus operandi and then gave it a test run. 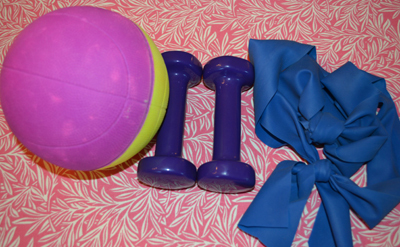 Clue #9: Remember these projects...moving ahead...with new learned skills. I have learned much and will share my experiences with my readers! Change seems to find us all, ready or not and I have come to learn that embracing it, along with accommodating and growing through it, may well have saved the skin on my knees and chins (yes, I have more than one!) "Keeping up" with change beats being drug through it! Willing myself to change became more than surviving! I believe it has been vital to living my life to the fullest and accomplishing what I have set my mind to do. Yes, I still have much to do on my bucket list, but there is progress! I still scratch my head and question as to how my changes will get me anywhere close to meeting my goals. I often lack vision when it comes to the paths that prepare and take me where I need to go, but I am miraculously, getting some divine intervention it seems and am thrilled! 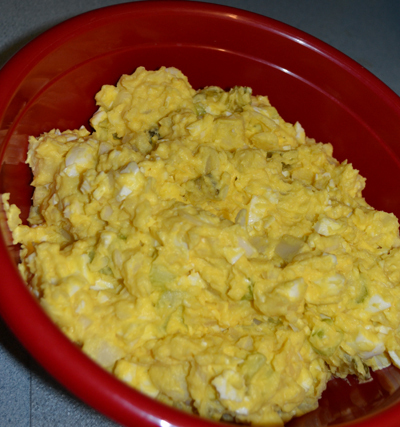 Clue #10: what does "Martin" Potato Salad have to do with anything? My pictures are clues for my upcoming blogs that I am calling my "Series on Change". Do stay tuned....I am on a roll that I hope you will find as stimulating as it has been for me! Labels: life changes; studio changes; personal changes; organizational changes.